Matching homebuyers to the right homes and sellers to the right buyers is my true calling. Thanks for dropping by! 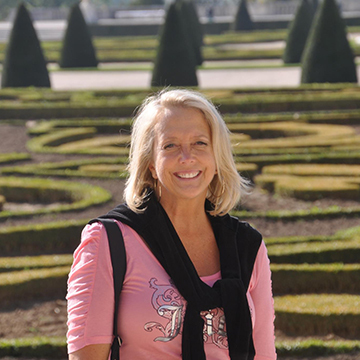 I’m Jane Sullivan Horne, and I have specialized in luxury residential properties at Smith Mountain Lake since 1986. Whether you’re looking to buy or sell a home in The Water’s Edge, Waverly, or any of the country club and golf communities in the area, I’m here to help make everything easier for you. I love living at Smith Mountain Lake and there’s nothing I enjoy more than helping others find out for themselves why life in our area is simply unbeatable. Having lived in The Water’s Edge at Smith Mountain Lake for decades, I’ve seen how real estate in the area has changed and developed over the years and I can truly say that I know the different communities and their various features and market trends by heart. Put my hard-earned experience and knowledge to work for you! Are you considering purchasing property here? I know that it’s not just about finding the perfect home; it’s about finding the right neighborhood that suits your needs, lifestyle and budget. If you’re selling your home in the area, I’m here to make sure that it’s brought to the attention of qualified buyers from across the country and the world. A Certified Residential Specialist, I am also a Short Sales Foreclosure Resource as well as a Luxury Collection Specialist and a Fine Homes Certified Specialist with Berkshire Hathaway Home Services Smith Mountain Lake Real Estate. When I am not helping my clients manage their real estate investments, I also serve as a member of the Board of Directors of the Virginia Recreational Facilities Authority and as an Executive Committee member of my church, Christ Community Church. To keep up-to-date with the latest trends in my profession, I am an active member of NAR, VAR and the Roanoke Valley Association of Realtors. Let’s discuss your plans for the future. Feel free to contact me today! What keeps me selling real estate? I’ve lived on the lake full time since 1984. I fell in love with Smith Mountain Lake the first time I saw it. There’s something about the water… whether you’re overlooking the vast watery scenery from your dock or drifting across the calm waves in a boat, there’s a peacefulness that permeates your soul. It’s mesmerizing. Guiding people around the lake is very personal. People visit from all over the world. Everyone has different reasons for coming, but all have a love and deep appreciation for the lake and the mountains.In particular, time spent with family and friends here at Smith Mountain Lake is very special. Unlike life in a bustling city with the typical pull in multiple directions, families on “lake time” can de-stress and enjoy carefree fun with each other. It’s difficult to narrow down my favorite things to do at the lake. I love to take visiting friends to dinner by boat or out to watch the sunset over the water… they never want to leave. Sharing this lifestyle with other families is what I enjoy most about selling real estate at Smith Mountain Lake. There’s something for everyone, but the search can be overwhelming if you aren’t familiar with the area. I get tremendous satisfaction from matching buyers with the very best home that meets all their needs and desires. I know that this is where they’ll make memories. Children will grow up and always recall the time they spent here at the lake. I’m very thankful that over the years I’ve helped many clients buy and sell homes multiple times. I never take the confidence my clients have in me for granted.